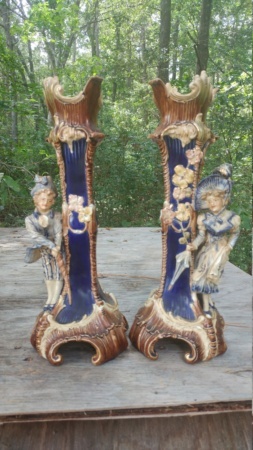 I purchased this pair of vases or maybe candleholders. 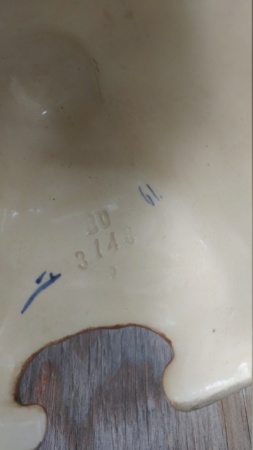 I do not recognize the marking. The included one looks like BO or BU. There are a couple more markings in blue. These are probably over a foot tall and are covered in nicotine. I will be cleaning them soon. 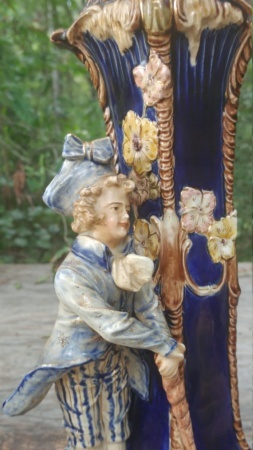 The colors kind of look like majolica but I am pretty clueless on the maker. Thanks for any help.